Nicaragua 1962 – DukeEngage Before Its Time? Although the DukeEngage program was introduced only nine years ago, the spirit of global outreach and education has long been a focus of the Duke experience. 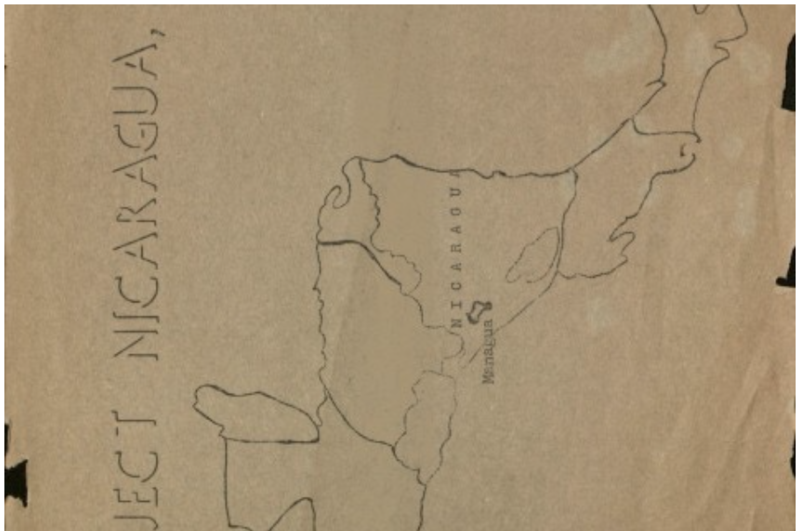 A newly uncovered 1962 report from Duke’s “Project Nicaragua” exemplifies the University’s longstanding dedication to civic engagement — and almost uncannily resembles the goals of today’s DukeEngage program. The similarity between DukeEngage and this civic engagement endeavor from more than 50 years ago speaks to the Duke’s enduring support of experiential education and global service. Interestingly, members of the committee that created DukeEngage in 2006-2007 had no prior knowledge of the Nicaragua program. Project Nicaragua sought to provide Duke students with an opportunity to learn more about life in Latin American communities through hands-on volunteer service in an elementary school and hospital. Students’ time in Nicaragua was focused on providing aid to public institutions within Managua and developing a personal connection to the people who worked to keep them running. Similarly, the strong relationships formed between DukeEngage participants and the organizations with whom they partner are central to the success of each program. Although DukeEngage offers a diverse array of service themes, those related to Project Nicaragua (education, youth services, health, and community development) are some of the most popular issues currently addressed by program participants. In addition to meaningful service work, cultural immersion plays a primary role in all global engagement efforts. Students who traveled to Nicaragua in 1962 were in near constant contact with native Nicaraguans, including children who attended school in a building next to the group’s housing quarters. The cultural exchanges facilitated by this kind of interaction are evident in every DukeEngage program today. For example, many DukeEngage programs place students in homestays to ensure that immersion takes place alongside their volunteer work. The programs also share an emphasis on effective service, as well as student integration into each community’s unique culture. The parallels between “Project Nicaragua” and DukeEngage expand beyond the fundamental mission of each program, as the two mirror each other in their objectives and their means of accomplishing them. The 1962 trip to Managua, Nicaragua, included eight students and two group leaders. Applicants underwent a rigorous selection process based on a diverse range of credentials, comparable to those used to select DukeEngage participants today. Students were made familiar with the culture of Nicaragua prior to their departure, in sessions that parallel the DukeEngage pre-departure training designed to prepare students for their service. Many logistical elements of the two programs remain comparable, save one prominent difference. While Project Nicaragua required students to raise individual funds for their experience, DukeEngage allows students to travel with all necessary funding provided. Perhaps most notable about the 1962 report in comparison to current DukeEngage programming is the common language used to describe elements and objectives of each program. The Project Nicaragua report states that students reflected deeply about life back on campus, gained new perspectives, and grew towards real independence and maturity. In a remarkably parallel fashion, the DukeEngage mission and goals highlight thoughtful reflection and profound transformation. The Project Nicaragua report also discusses specific examples of organizational and operational problems the Duke students could help solve. Recognizing opportunities to make a real impact within the community is a major theme surrounding today’s DukeEngage service, as well. Independent and group projects often tackle specific challenges with tangible, lasting solutions, such as designing curriculum, building physical structures, and advocating for the rights of community members.